Hello, December 2017! It’s been a busy fall, had three awesome Christmas card classes and now I’m winding down for the year!! I have a team meeting on Thursday morning and will have lots of info on the new catalogue/pre-order, OnStage in April and Sale a Bration sign up bonus!! So….. if you want to join my Stampin Stars, you are going to put that down as your first new year’s resolution!! And if you are in Canada, all across our beautiful nation, you can join my team!! I work hard to stay in touch and send you goodies in the mail, and of course, with the power of video and Facebook Live, we are more interactive than ever!! Click here for all the info on why you should join my Stampin Stars!!! So what’s first? That would be what is going out?? There are items on sale and a list of all the items that are retiring, so, if you are like me and have been debating a stamp set all fall, time is running out! Let me know so I can get it for you before the end of Demember or order online yourself 24/7 at my online shop!! Click BELOW for a COMPLETE PDF LIST OF ALL THE RETIRING PRODUCTS!!! AND SHOP HERE 24/7 to buy online!! and use HOSTESS CODE Z9MSKXAS if you are ordering less than $200!! I will send you a free thank you gift!! #StampinStars Coffee Date @ #94TaketheCake tomorrow! I’m super excited to be trying out a new location for our stamping fun!! There is a new coffee and cupcake shop in #okotoks and it has great tables to stamping, that’s at 94 Take the Cake on Elma Street! My team and those that would like to learn about joining my Stampin Stars will be meeting tomorrow morning at 10am. Find more info on the event on my Facebook Page, click here! We will be chatting about the new catalogue, hostess bonus, fall schedules and all things holiday fun! We will get to play with some of my new Spooky Night goodies and the much anticipated cat punch! RSVP appreciated but don’t let it stop you from joining us!! The first drink is on me!! Want to lear more about joining my team? CLICK HERE! Wanted to share in my celebration of my 3 year anniversary with Stampin Up!! Got this adorable card in the mail from our Stampin Up Canada Director, Dale Hampshire. It’s the small things that put smilies on faces, including your handmade cards! I very much appreciate when others give me handmade items as I’m sure you do, and this was a delight to get in the mail! (after more Outlander post cards, of course!) Did I mention it’s just 5 sleeps to the season 3 premiere!! More to come on that tomorrow!! Also want to send out very special thanks to my team and customers, I wouldn’t be here without you! You all share in my love of all things crafty and I value our friendships, creative times together and your inspirational creations!! I cannot close without a special thank you to my amazing husband. He supports me daily in everything I do, especially in my #StampinUp addiction, and my Outlander addiction, basically, all addictions, and with a smile on his face. I truly have found my soulmate. Thanks, Friend! Welcome to September and if fall won’t come to us, I’ll bring us to fall!! That’s right I’ve posted my Christmas card classes as events on my Your Stampin Scrapbooker Facebook Page! So what’s the scoop? So firstly, here is my fall calendar including both the classes per month as well as my Stampin’ Stars Coffee Meetings. Our next one is coming up on Thursday, September 14th @ 94 Take the Cake in downtown Okotoks. Each card class is a link to the event on Facebook so click and RSVP, followed by contacting me for payment. Scroll down for all the details about pricing, information and FAQ. So what is my Christmas card club, you ask? I prefer to keep a class maximum of 6 people, 8 may be an option, depending on the cards planned. If there were more demand, additional dates may be offered. Club price: Pre-pay to attend all 3 sessions – $85 due by September 15 (or $35 for individual classes) The fee covers all the supplies needed for 36 beautiful handmade cards and envelopes as well as the entertainment/fun you’ll have making them with friends new and old! ****There is a bundle deal on class #2s Carols of Christmas, for club members you can purchase the bundle for only $50 even, that’s more than 25% off from me and on top of the Stampin Up deal of 10% off for being a bundle. Can I select individual classes? Yes, you can opt to RSVP for individual classes and the cost is $35 a class and please feel free to let your friends know they can join you at any time with 3 days advance notice, so I can prepare. When do I need to RSVP for the club? Please RSVP by September 15th if you would like to receive the club price. If you would like to attend individual classes, please RSVP at least 3 days prior to the event(s). Please also RSVP on the facebook events, it assists me with my organization and planning. Thanks! All classes will be held in my home: 94 Lock Cres., Okotoks from 7pm-10pm. These classes usually take the majority of the 3 hours, so please take that into account if you have other commitments. What if several of my friends and I would like to have a class on our own? Absolutely! Please don’t hesitate to request a private class with your friends, in your home, at the same price for the Christmas card club or classes. Thank you so much for supporting Your Stampin Scrapbooker and I look forward to making holiday memories with all of you as we create together! Go the Facebook events and RSVP that you plan to attend. Get excited to get in the holiday spirit! Thanks, Everyone!! Look forward to seeing you all at my classes and ordering your holiday goodies online! Click here to shop from home!! Stampin Up #Holiday2017 goes live in just hours! #hostpromotion is here for 2 months! So a few more reveals of the goodies from #holiday2017 #StampinUp and a SURPRISE! Secondly, we have the more elegant, softer tones of the metallics in this wintery suite called Year of Cheer (pages 36-37). It includes speciality washi, champagne foil sheets, metal embellishments, foil snowflakes and of course, the designer series paper. I can already see the new Pinterest board in the making! So, want it all? Well, join my team of Stampin Stars!! Get it all for yourself at a discount! Ask are more: janleygrant@hotmail.com and check out why you should join MY team! OR, feeling the host a party bug? Know your friends will want some of these beauties too? so why not host a party? I do virtual parties online via Facebook and you can shop 24/7 in my online store… OR, I am also offering very limited Sunday afternoon parties in your home. I have been out of the party hosting world for a while as our family commitments just don’t allow for me to be able to commit to an event, but Sundays are an option. This is a first come, first serve, and I will only be doing local to Okotoks and area, very limited options. Again, you can totally opt for the online party from anywhere in CANADA!! AND – There is an extra bonus to hosting a party of $375 Canadian, an exclusive holiday stamp set!! so that is an extra on top of your rewards!! I will chat more about this tomorrow both on Facebook LIVE at 9:15am and watch for a blog post to come out as well! PS. After all is revealed online tomorrow, I will come back and add all the shopping links to the posts that will go directly to my online shop. Thanks for all the support! #Outlander stamp set & Coffee Cafe! I’ve been away on holidays most of the week, so I’ll be back at more frequent posts this week. On Monday I’m teaching my Coffee Cafe class and on Thursday it’s my Stampin Stars team meeting/info night at Home Ground Coffee in #Okotoks, contact me today so join us! Here is a relaxing morning coffee photo from this week in the mountains. Feeling revitalized to get stamping with you all!! 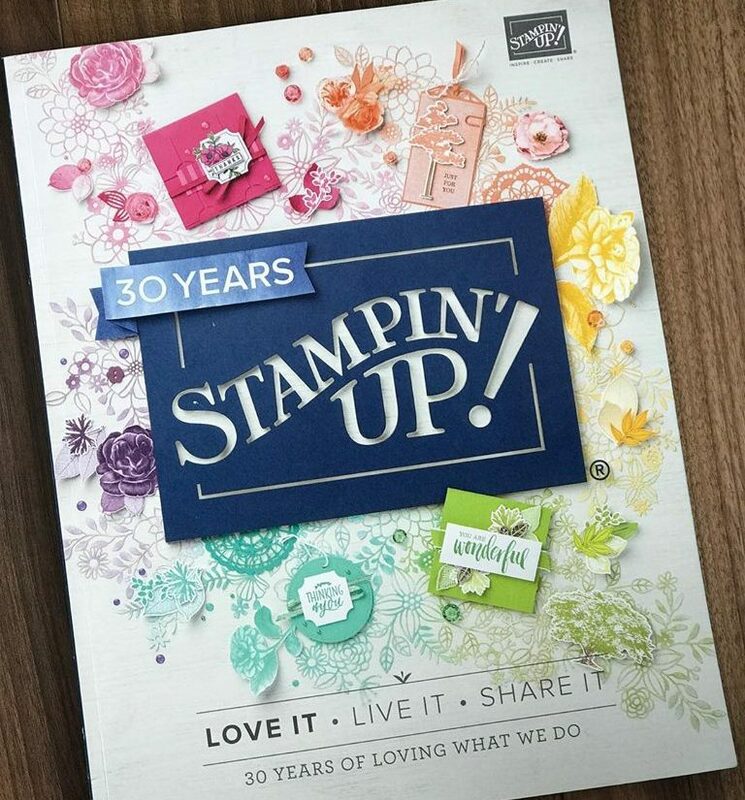 We will chat about all things Stampin Up demonstators right now, plan for the launch of the upcoming holiday catalogue and play with the new Carols of Christmas stamp set that is available to demonstrators now and everyone else in August!! HAVE A FREIND YOU THINK WOULD BE INTERESTED? Please pass on my contact info and I’ll make sure they get an extra gift for joining my team via a referral from a friend! NOT LOCAL? No worries, my team can be all across Canada! Perhaps you just want the discount for yourself, or want to earn a bit of extra money doing classes or selling to family and friends, or even want to share your gifts with others and have a team, let me know and we can make it happen. Don’t forget the awesome sign up deal right now so you can get ordering all the goodies you have been wanting with a bonus essentials pack and become a part of my super fun ladies 🙂 Sign up today and come to your first meeting on the 27th! This month has so much to offer! For every $60 you spend this month, you get a coupon for $6 to be redeemed in August!! So you can put it towards a new holiday set, Carols of Christmas (see photo below) which will be in the new holiday catalogue, but you get early access in August!! The whole catalogue official launch is in September. I am putting orders in regularly so don’t hesitate to let me know what you need to stock up on for the fall. HERE IS THE STAMP SET IN DETAIL!! and of course, you can get framelits too 🙂 CHECK OUT THE VIDEO HERE!! My team will be meeting in just a couple of weeks and you can get there to see and play with this new set! We will be doing a make n take and talking all things holiday as we plan for the fall. Watch for a post to follow with all the details! Happy Stampeding and happy stamping!! 2 FREE stamp sets when you sign up to become a Stampin Up demonstrator!! Join my Stampin Stars! 2 days until the fun begins!! New stamps! New water colour pencils! New papers! AND if you’ve been waiting for a reason to join my team, it’s here! Pick your usual $165 of product for only $125 (no shipping fees!) and BONUS, you get to pick 2 FREE stamp sets to add to your starter kit! Team meeting Friday, January 13th at my house! RSVP on Facebook! Click here!